You may not be able to pronounce temporomandibular joint disorder, but the pain and discomfort related to TMJ disorder are unmistakable. Dr. Craig Janssen’s own TMJ experience led him to become an expert in the treatment of the chronic jaw, neck and back pain characterized by this condition. 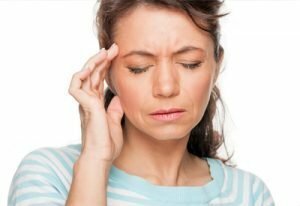 Do You Have Any of These TMJ Signs? More women than men experience TMJ pain, and the disorder is most often seen in people between the ages of 20 and 40. It is important to report any of these symptoms to a TMJ doctor such as Dr. Craig regardless of your age or the severity of your pain. Depending on the severity of your symptoms, you may be able to find relief with treatment options as simple as taking anti-inflammatory pain medication, eating soft foods, and applying warm compresses to your area of pain. However, more advanced medical treatment may be required if your symptoms do not subside. Other non-invasive options can include muscle stretching and relaxation exercises to relax your jaw, or you may be fitted for a night guard for your teeth if you grind your teeth at night. More invasive treatment options can include cortisone shots to relieve pain and inflammation, or in extreme cases, surgically replacing your jaw joint with an artificial implant may be necessary to relieve your pain. Schedule a consultation with Dr. Craig today to discuss your treatment options.